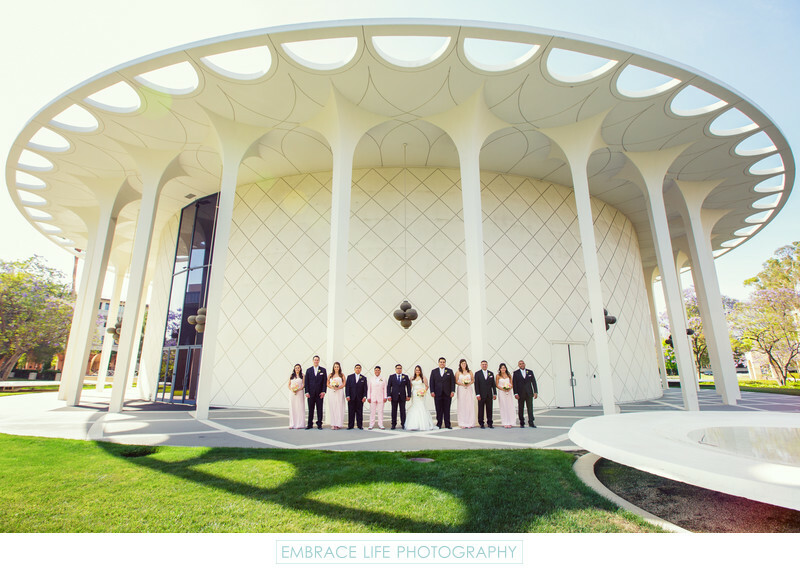 This wedding party portrait was photographed in Pasadena, CA on the campus of California Institute of Technolog in front of the modern architecture of the Beckman Auditorium. We photographed this wedding at The Athenaeum, but made use of Caltech's beautiful campus throughout the day. Location: 551 South Hill Avenue, Pasadena, CA 91106.